Make your own tricks- twelve astounding effects you can do! Clever gimmicks you can make yourself! 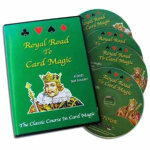 There is no greater magic than magic that can be done with ordinary playing cards- or ones that seem ordinary. 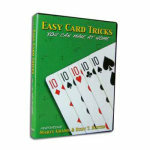 Learn how to make some easy gimmicks that will let you do some amazing tricks with "ordinary" cards and other everyday objects. 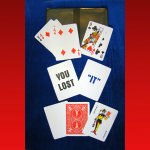 Magician Marty Grams is a successful and popular entertainer and magic lecturer. On this DVD, he shares the cream of the crop with you, secrets that he charges $20 EACH to learn when he lectures. 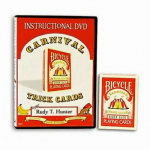 He reveals exactly how to make each trick, as well as how to perform each one. 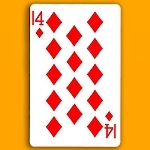 You'll learn 12 effects in all! 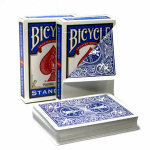 The tricks use regular playing cards as well as clever gimmicks easily constructed from ordinary objects. 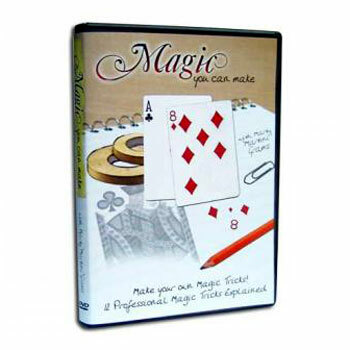 You'll save a BUNCH of money when you learn how to make the magic tricks yourself. 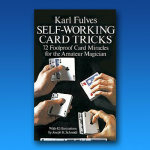 Plus, you'll be making tricks that you can't even buy on the market at ANY price! DVD ONLY. 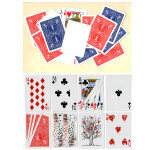 You supply the ordinary playing cards. It is fun to find out how to make your own effects. Maybe I'm cheap. Actually two of these effects have made it into my close up show. The No Tug Coin Holder is really useful and was easy to make. 7th Inning Stretch- I made it with a regular card instead of the jumbo card that was suggested so I can carry it in my pocket. This DVD was well worth it. By the way, one of my friends ordered this DVD from another place, and it didn't work. The one I ordered from here works great.